Case Study: THAT Group Inc.
“Scaffold Designer is a money-maker and a money-saver.” – Joe Heimbecker, operations manager and lead estimator, THAT Group Inc.
Tanner High Angle Technologies (known as THAT Group Inc.) was founded near Sudbury, Ontario, in 2010 to provide training and labor services in high-angle access and rescue. 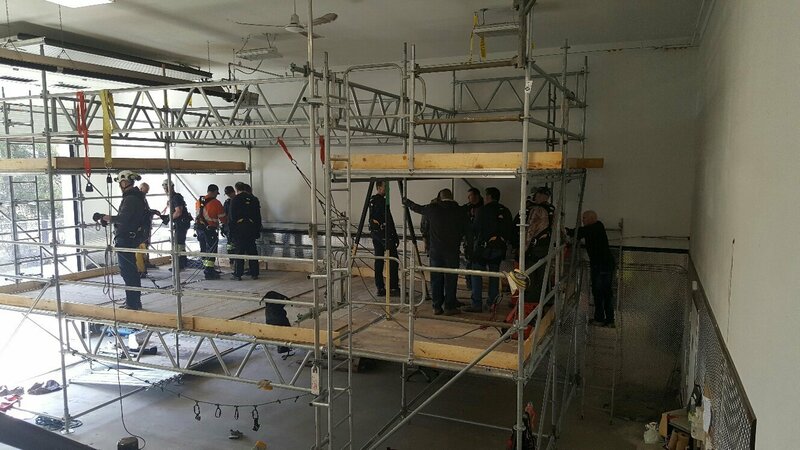 In January 2016, the small firm expanded into scaffold contracting by acquiring the clientele of a company that was shutting down. THAT Group’s scaffolding division mainly serves Ontario’s mining, construction and pulp and paper industries. When THAT Group president Rob Tanner acquired Phoenix Industrial Services’ contracts, he knew he needed to retain the industrial contractor’s client base and attract new customers. He brought on Joe Heimbecker, Phoenix’s operations manager, to continue serving in that role. Heimbecker had spent 25 years in the field as a carpenter, journeyman and supervisor. For the last five years, he’d moved into producing preliminary scaffold drawings and estimates. When he started out, Heimbecker would hand-sketch scaffold designs and manually calculate materials and prices, a time-intensive process. “Doing a hand drawing isn’t very pretty. It definitely wasn’t an asset to give that to a client,” he recalls. With Heimbecker’s limited computer skills, using complicated software such as AutoCAD wasn’t an option. After testing out two scaffold design programs, he and his colleagues at Phoenix decided to go with Avontus Software’s Scaffold Designer. “The other software was not as good as Avontus. When Rob took over, it was a no-brainer for him to adopt it,” Heimbecker says. “Scaffold Designer speeds things up and takes the guesswork out of it.”– Rob Tanner, president, THAT Group Inc. Despite his lack of advanced computer skills, Heimbecker says it didn’t take him long to become proficient in Scaffold Designer. “It’s very user-friendly. For me, being computer illiterate, it works out very well,” he says. 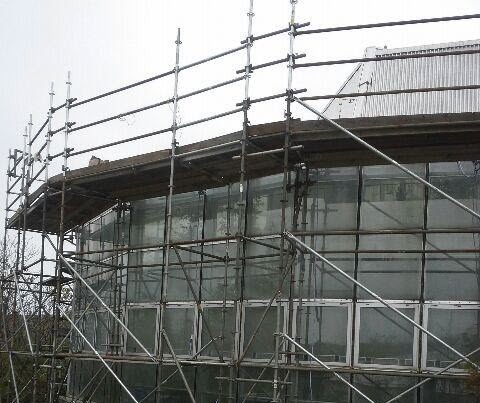 Scaffold Designer has helped THAT Group improve efficiency and reduce costs. “You’re saving time from start to finish: when you get the job and come up with the concept, when you do a site visit, when you give a quote, and when you do material counts,” Tanner says. Instead of relying on an engineer to create a conceptual drawing, Heimbecker can make one himself and send it to the engineer for approval. That means he can produce drawings in an hour, instead of two or three days, and the company saves up to $1,500 on each design. “That cost savings can be your profit on the job,” Heimbecker says. The benefits of efficiency extend to existing projects. For example, one client called on a Saturday asking for a modification to an approved design. Heimbecker was able to redo the drawing in an hour. “There was no delay on the project, and it carried on as usual. That’s part of why this client calls us back on a continual basis. We take care of business, and Avontus is a big part of us being efficient and quick,” Tanner says. Scaffold Designer also saves the company time and improves accuracy by automatically calculating material counts and weights, as well as leg loads. “It speeds things up and takes the guesswork out of it,” Tanner says. He estimates that improved accuracy in material counts increases profits by up to 3 percent a year. “Scaffold Designer gives us a leading edge over everybody else.” – Joe Heimbecker, operations manager and lead estimator, THAT Group Inc. Compared to a hand sketch, Heimbecker says using Scaffold Designer’s drawings — including cross-sectional, plan and elevation views — gives THAT Group a professional edge for retaining clients and attracting new business. “When you give your client a preliminary drawing with your quote prior to the job being awarded, that looks impressive. To them it looks like I went the extra mile. To me it means going an extra half an hour,” he says.